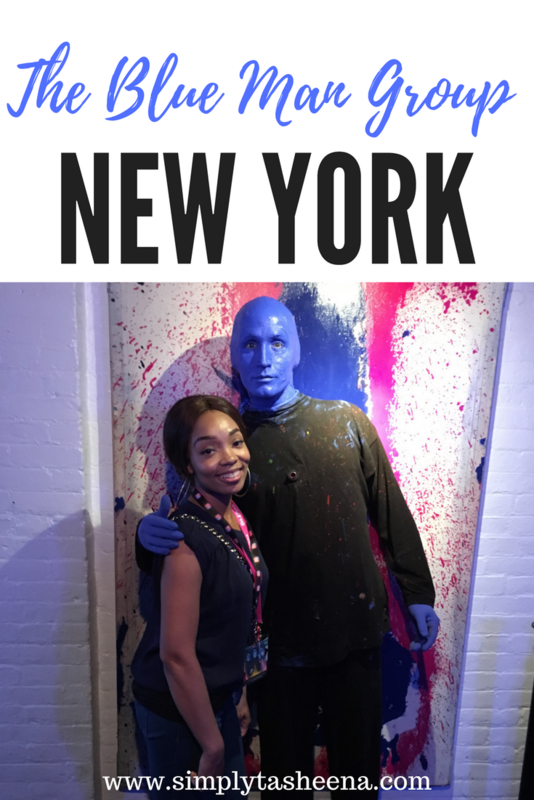 I had the most amazing time yesterday while in New York at the Blue Man Group Show. I went to see this show a couple of years ago in Vagus and it was simply AMAZING! Without giving away too many details. Yes, it was different. However, everything I expected in MORE. I plan on seeing the show in each state. That's my ultimate goal. I'd love to go to the Boston show with my boys. What a great giveaway! I saw them in NYC back in 2004 and yes- it was definitely "different" but that's what made it great- it's something you definitely need to see for yourself. Oh goodness, I've heard of their shows and would love to go! I wish I lived in the US! 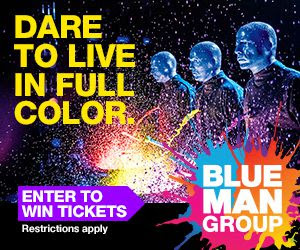 This is a fun giveaway .I wish I could enter .The Blue man grouo show looks interesting. What's it about? We will be seeing the Blue Man group in a few weeks and I am so excited. My kids have never seen the show before and I think they will be thrilled. Such a fun and offbeat show. This looks interesting. Sadly, I cant enter the giveaway but canlet some of my friends know. I must be out of the loop because I have absolutely no idea who they are! Oops! lol Glad you had fun at the show! Had not heard of the blue man group but sure looks interesting. What are they about ?